Well, I'm back from my trip and just getting over yet, another cold. I have tons of bands to post about, but first I thought I would put up another VU Series. I've recently seen Ryan Adams or his incarnations every where on the net and I figured I would throw in my two cents with the most recent VU Series entry. 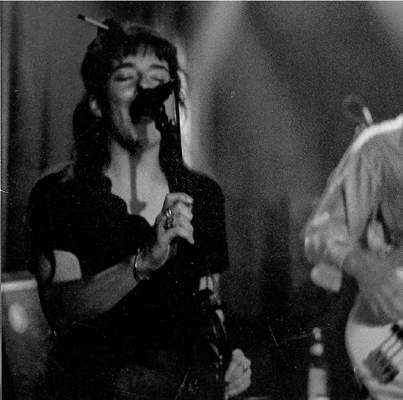 Angels EP is the first official release from the Raleigh/North Carolina based band, Whiskeytown. 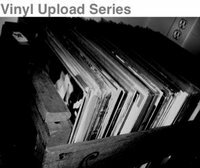 The EP, a vinyl only release, was distributed on the Mood Food Label in May of 1995, approx. seven months prior to the release of Faithless Street. Whiskeytown's line up at this time was Ryan Adams, Caitlan Cary, Skillet Gilmore, Steve Grothmann, and Phil Wandscher. Angels EP is an amazing historical document. It's title track, Angels Are Messengers From God (known now as Faithless Street, from the Faithless Street LP) let's us witness the evolution of songs and the songwriting process. 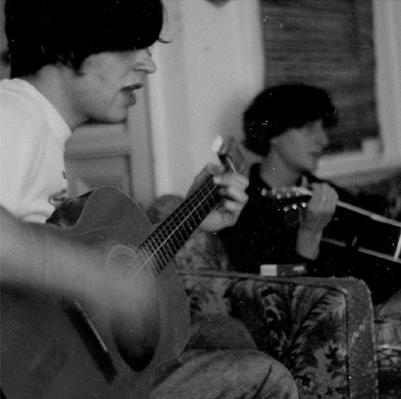 We all know what Faithless Street sounds like, Adams lead, Cary joining on the chorus, but this previous version is a full blown duet of Adams and Cary intertwining their distinct and captivating vocals for the entire song. It is absolutley amazing and honestly I prefer this version, but I will let you make your own conclusions. 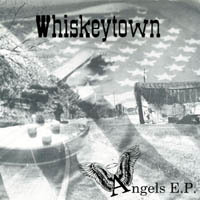 The tracks on this ep, Angels Are Messengers From God, Captain Smith (a favorite of mine), Tennessee Square, and Take Your Guns to Town were finally re-released on Whiskytown's 1997 effort, Rural Free Delivery,an album of demos and such that was released by the band. I do believe that cd is now out of print, which prompted me to post the vinyl versions here and the dueted version of AAMFG. Listen to them here in there infancy and see which ones you like better. You can find out more info about Ryan Adams here or here and can purchase Whiskytown here. A shorter post, but a great one. Enjoy.